Everybody had a spot, at least for a minute. 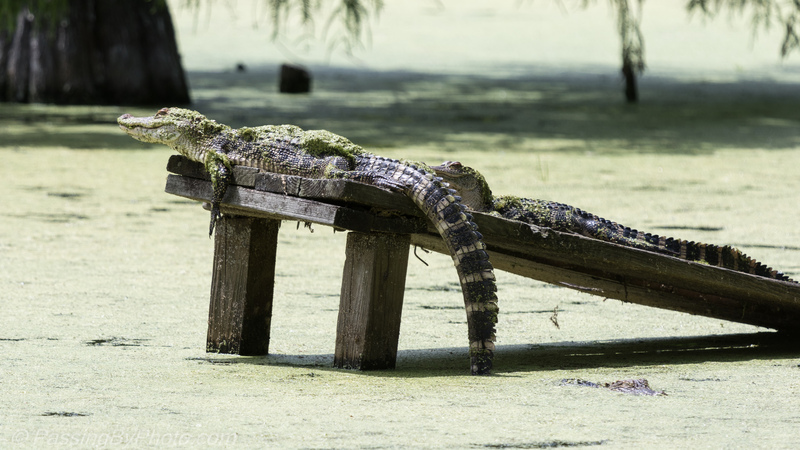 The younger Alligators shift around more than the big adults, maybe because they are used to getting pushed off the platform by their elders. Or a big turtle. At the other end of the pond I found another pair posing, being watched by a third in the water. 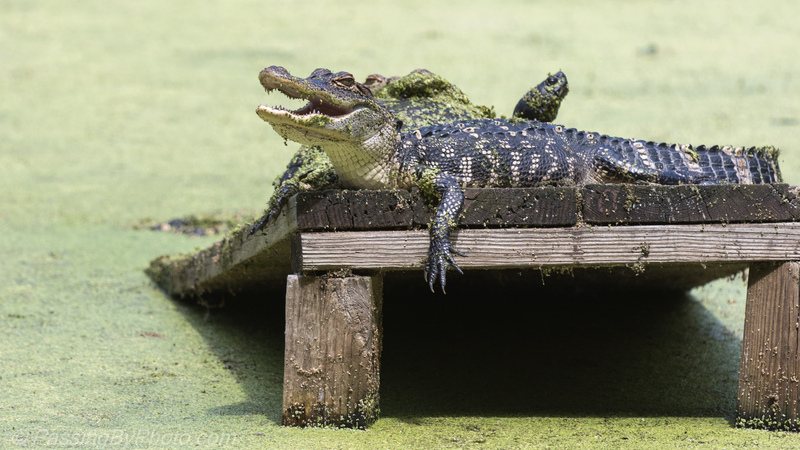 This is the first group seen from the side, with a yet another Alligator climbing on the ramp for a spot in the sun. 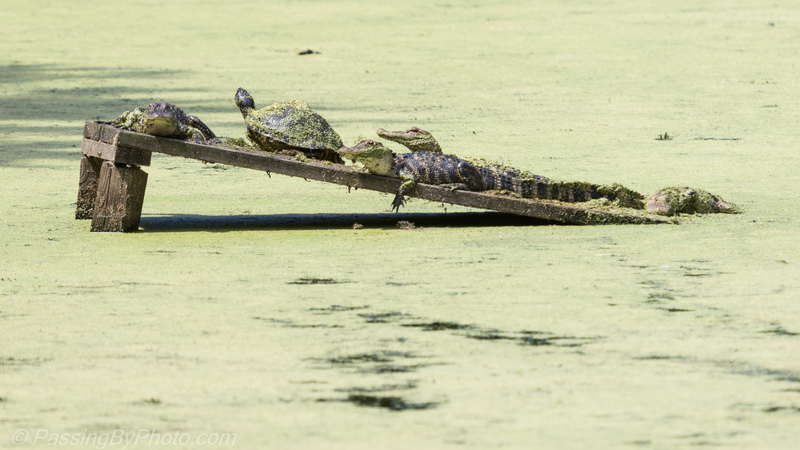 The duck weed was clinging to them all. Looks a bit crowded! Nice photographs! And somehow that doesn’t bother them–just keep piling on! Thanks!